Vanguard Retirement’s Nest Egg Calculator allows users to see personalized retirement projections derived from historical models. The app is in charge of storing data taken from past retirement returns. It then creates a simulation and informs you on what to expect based on the information that you provide. The app is extremely useful for people seeking to predict their income for retirement. This retirement planning tool is incredibly easy to manage. The information required to conduct the projection is included into a single screen. All you have to do is select the return you anticipate to get on your investment. Basically, this means that you must guess future returns. The app doesn’t feature statistical modeling on past returns. However, it does allow users to account for variables like taxes and inflation. As far as the report presented at the end, it is extremely easy to understand and interpret. 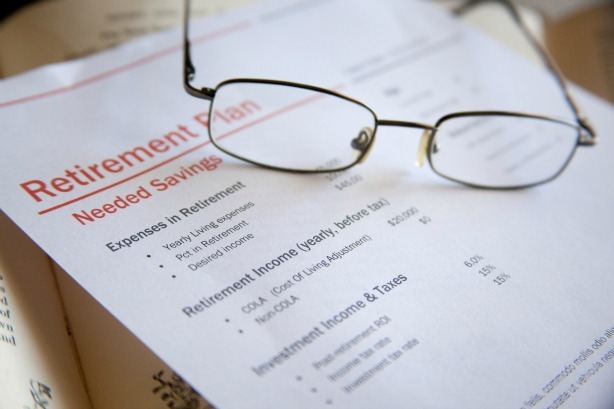 Retirement Planner App allows users to make comparisons between different investment vehicles, like Roth 401 (k) and 401 (k) for instance, as well as Roth IRA and Traditional IRA. It also permits you to track employer contribution to your current retirement account, as well as how the contribution affects your retirement savings considering spending reductions and prospects of overall retirement shortfalls or surpluses. This app is really easy to handle. All you have to do is input basic information into the system. The planner will predict the amount of money you have for retirement; but it can also allow users to manage social security payments. This can come in handy for people trying to get a better view of their income throughout their retirement years. In order to enjoy a stress-free lifestyle after retirement, you have to save up. If you’re not on track with your payments and you know very little about pension and interest rates, start now! It’s never too late. Retirement Income Planner (from Fidelity) is a great tool to check out. It is aimed at people who have less than 5 years until retirement (or have already retired), and it is a great way of keeping you organized. It comes with an income strategy evaluator that will help you save more without making huge compromises. Saving money for retirement is easier than you think. All you have to do is start somewhere. Don’t postpone the process for much longer if you want to have a comfortable life in your 60s. Very few people can afford to pay a financial adviser to keep track of their finances so the web is a great place to go for some help. These apps are incredibly useful and can give you an idea of what’s ahead as you start planning for retirement right now. Questions: What other retirement planning tools are you using to plan for that time of life? Are you on track to reach your savings goals by retirement? Author Bio: Alfred Stallion is a regular contributor at many sites, focusing mainly on business related topics. His advice to all investors?…get some high quality risk management software. The last paragraph is the most important, get started on a acing for retirement. The tricky part of planning is past results do not predict the future. We are in an investment environment we’ve not only never seen before but we thought wasn’t possible. Also your projections are only as good as the input data. Understand the numbers you put in the programs and the assumptions built into the programs. Careful planning and updating regularly will be the key to successful retirements.